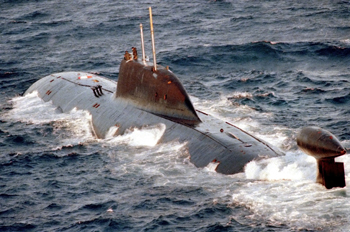 April 06, 2015: Russia has communicated to India that it is ready to take forward discussions on the ten year lease of a second Akula-class nuclear-powered attack submarine to the Indian Navy, on the lines of the INS Chakra that joined Indian service in 2012. The K-322 Kashalot, an Akula hull, has been identified as the possible boat that is on offer to the Indian Navy, with timelines for lease as early as 2018. Since Indian Navy crews are already proficient on the INS Chakra, timelines will be shorter for conversion training. The lease on the INS Chakra could also be extended beyond 2022, though there is still time for that decision to be taken. The Indian Navy has been pleased with the performance of the INS Chakra for long endurance patrolling on both seaboards. 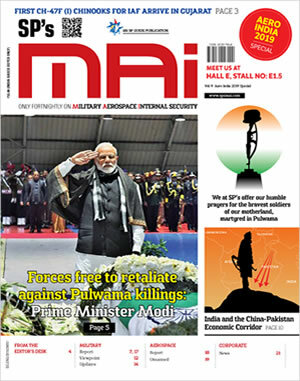 It was also demonstrated to Defence Minister Manohar Parrikar earlier this year as a formidable silent platform. The Russian Navy has already asked the Rubin Design Bureau to begin design work on a new generation of submarines, though it remains unclear if these will be conventional or nuclear. "Newest target indicator, communications and control equipment will be introduced in the submarine building design in accordance with our requirements. Submarines already now are equipped with new automated reconnaissance and alert equipment," Russian Navy Chief Viktor Chirkov said last week on the country's submariners' day.